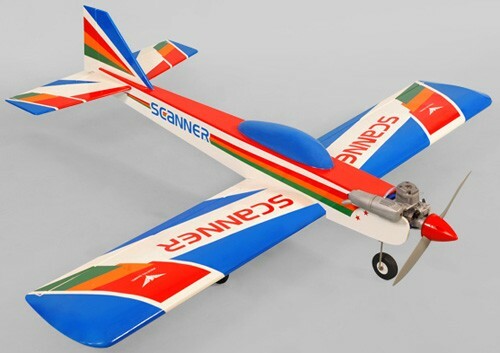 If you are looking for an Almost Ready to Fly R/C model, which is easy to assemble and exciting to fly, the Scanner is for you.This low wing was designed from the start to handle any kind of aerobatic maneuvers. It loops, rolls, flies inverted, and is capable of many more magical moves. It's a flying cocktail of performance. All the hardware are included (servo wire, fuel tank, wheel/landing gear, etc). 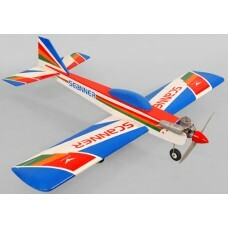 You only need to seperately purchase the nitro engine and radio system, and can fly this plane after 1-2 hours of installation.